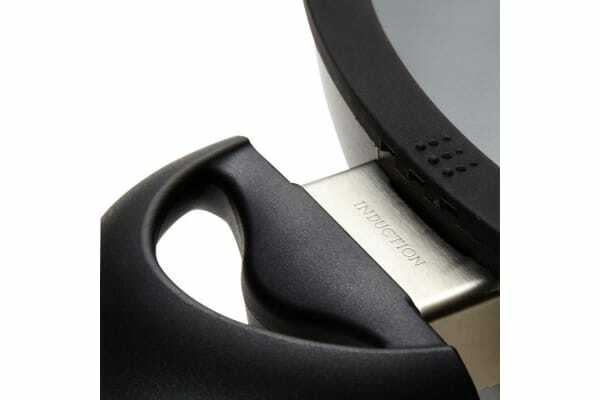 Scanpan IQ range is the Rolls-Royce of cookware. 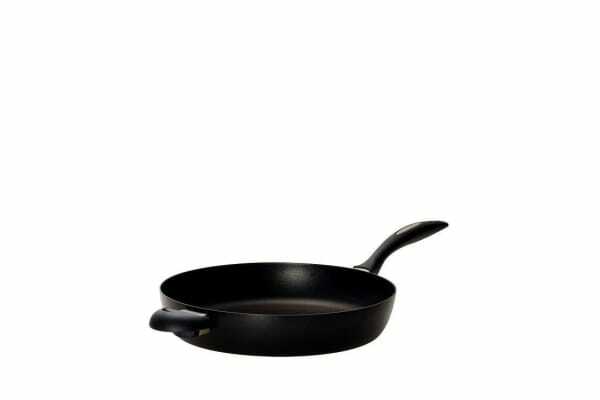 This Scanpan IQ saute pan features environmentally friendly PFOA-free non-stick and non-scratch ceramic titanium coating, while the body is made of 100% recycled aluminium and has integrated induction base for optimum heat distribution. And it doesn’t stop there: the glass lids feature an integrated steam valve and tight-fitting silicone edging, effectively preventing the lids from clattering and the contents from boiling over while at the same time retaining the optimal taste and aroma of your food. The steam valve also automatically diverts the steam away from you. And of course, the saute pan is ovenproof up to 260degC.